Yesterday I was invited to speak at the Hawaii Economic Association monthly luncheon meeting. Duane Shimogawa of Pacific Business News attended and wrote a story which was also picked up by Utility Dive. Henry Curtis was also in the audience. So there is no misunderstanding of what I said and my position, here is my script (which I hardly deviated from) and slide deck. I repeated what I have said in previous posts but importantly, I tried to emphasize the need to pay attention to intangible attributes for the successful execution of Hawaii's clean energy transformation. After retiring, I have been occupying my time by writing a blog called Energy Dynamics. The purpose of the blog is to share information to understand and discuss the dynamics of Hawaii’s clean energy transformation. Some have asked what drives me to write my blog. The only explanation I can give is I’m a Virgo, not just a Virgo but a double Virgo, highly critical when perfection is not found and seeking organizational efficiency to a point where I may appear picky and whiny. I don’t think I can escape my destiny, to the dismay of some, but to the delight of many others who tell me you are saying exactly what I am thinking but can’t say out loud because . . . and I am given a list of reasons, different for each person and their circumstance. 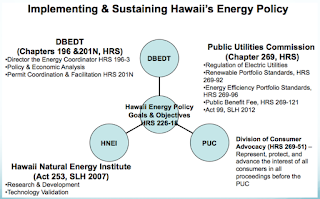 I write my blog because most people do not understand the enormity and complexity of Hawaii’s clean energy transformation and many just see the slice that benefits them. For example, the ongoing electric utility versus solar debate puts forth a false argument and a premise that one must choose sides. Renewable energy advocates have been very successful in promoting and gathering support for and addressing mainly one side of the electric system equation, the supply side. Buzzwords like “100 percent renewable” and aspirational concepts like “energy democracy” may prompt near-term savings for some individuals but often lack detail to achieve an advanced electric system that is accessible and affordable for all electricity users. Even with Hawaii’s high penetration of rooftop solar installations, over 80 percent of electric customers still lack access or funding, or have no desire to install a distributed generation system and must rely on the electric utility while shouldering more of the fixed-cost burden of the electric system with incorrect pricing signals like net energy metering. We have finite island grids which have been filled with low capacity, high priced solar which may limit our future options making the PUC’s Phase 2 investigation on distributed energy resources even more important to make the necessary market corrections. 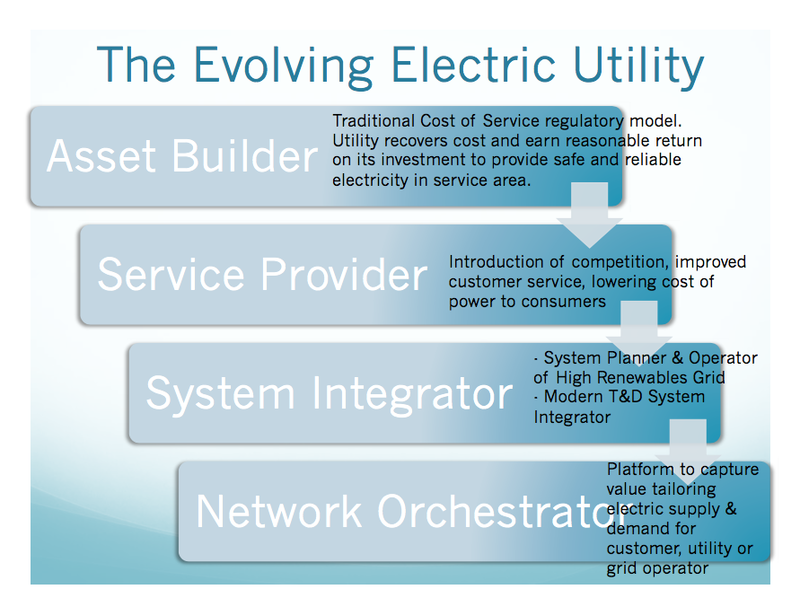 While economists and others who study game theory, may understand the strategic and methodical decision-making process that Hawaii must employ to achieve optimal results in the design of an advanced electric system, the significance of this transformation and paradigm shifts has not been adequately explained to the electricity customer, who must, inevitably, pay for all costs. I fear that if rooftop solar continues to dominate the course of our energy decisions, Hawaii will be focused on two superpowers duking it out, monolithic vertically integrated electric utilities versus monolithic vertically integrated solar companies vying for market share using political power to affect regulatory authority. I don't foresee a promising future in that scenario. 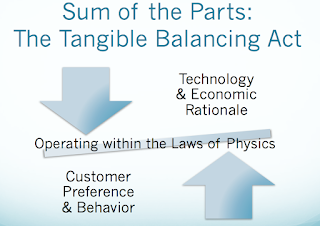 Too much money, time and energy will spent on politically charged decisions with nothing but uncertainty and unknown outcomes just to address what I call the tangible balancing act, issues that are more familiar to us in this discussion. 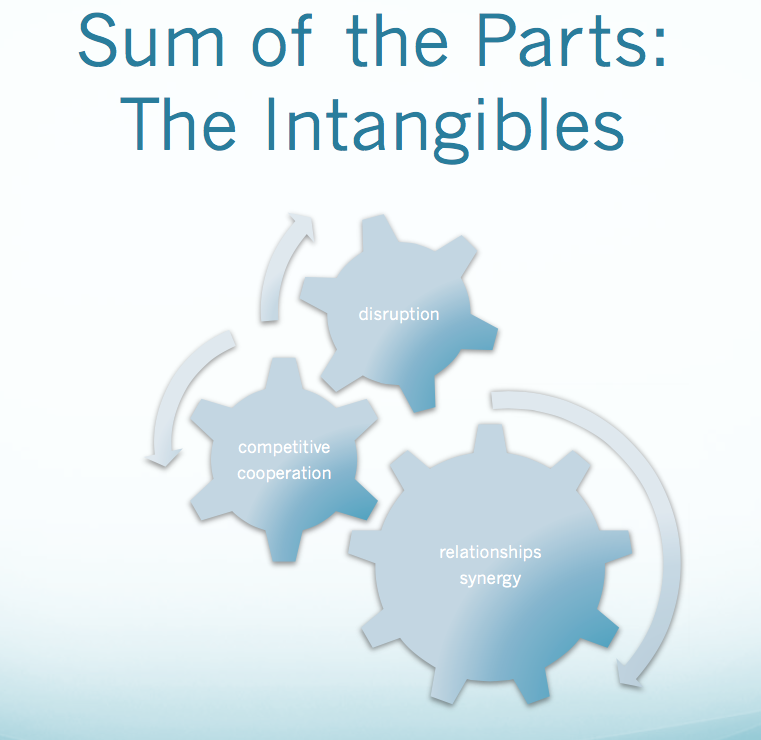 But to truly achieve a clean energy system transformation, I believe we have to be mindful of intangible attributes required for such a transformation. I’ll use three Hawaii analogies to convey this. of Life of the Land, titled his blog post Mina Morita: Standing Against A Tidal Wave. I didn’t read it but it did remind me of a picture of the April 1, 1946 tsunami of a man standing at the end of Pier 1 in Hilo Bay facing the wave about to kill him. 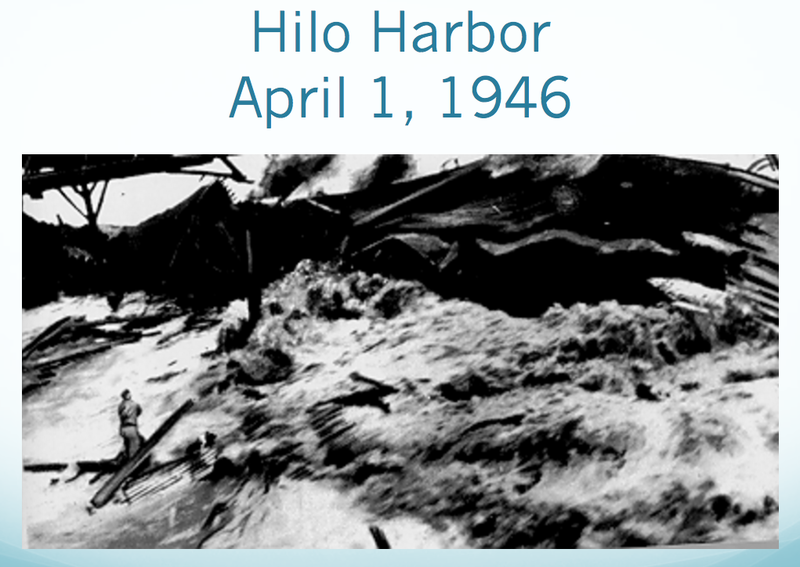 He was on the pier to cut the mooring lines so that the captain could maneuver the SS Brigham Victory out of Hilo Bay as the tsunami approached because it had a cargo of over 50 tons of dynamite and volatile blasting caps. After cutting the lines he had no time to escape although the ship made it out of the harbor. Sometimes I do feel like the man on the pier, facing a tsunami of negative and uninformed comments that overwhelms Hawaii’s energy discussion with tangential debates, be it coop and munis, NextEra not a local company, no fossil fuels, rooftop solar cutting into HECO’s profits and, of course, Connie Lau’s compensation. Like the man on the pier, I hope I can prove to be helpful and useful to the very end by dispelling myths and to provide a counterbalance in a noisy debate. However, the tsunami analogy does provide two ways to look at our situation. Prior to the tsunami early warning system people had to notice local aberrations to give them enough time to seek higher ground. Then it was just a matter of coping in the aftermath of destruction. I don’t think we want to nor can we risk handling our clean energy transformation in that way – waiting to notice local aberrations then reacting to it. Today with good planning, detection, monitoring and an early warning system – and using data effectively we can minimize casualties and property loss and seek resiliency faster. Our clean energy future with the many technological advances to come and changing customer preferences is much like planning for a tsunami. Our challenge is how to manage future uncertainty by ensuring Hawaii electric system is flexible, adaptable and resilient because we don’t know if this wave of change is going to come as a manageable several inches or a gigantic upheaval in our task to balance supply and demand efficiently and cost-effectively while being mindful of advancing technology and anticipating customer preferences and behavior. 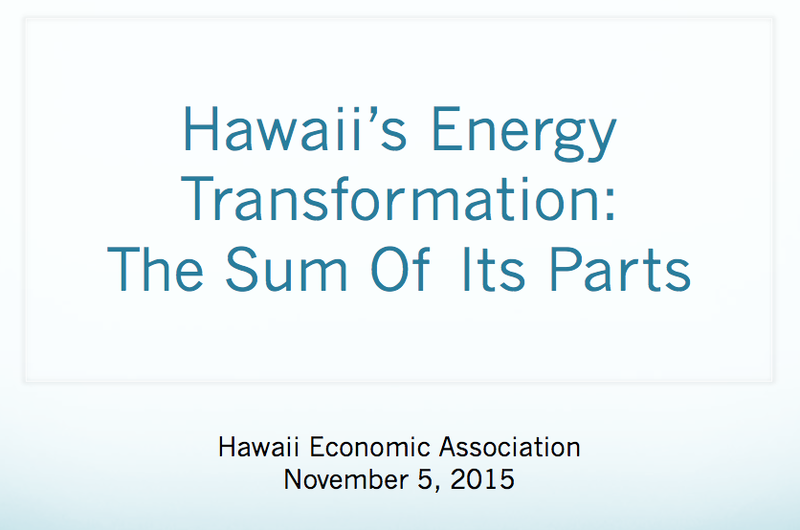 As we delve deeper into Hawaii’s energy transformation, every aspect of it will challenge our conventional wisdom. 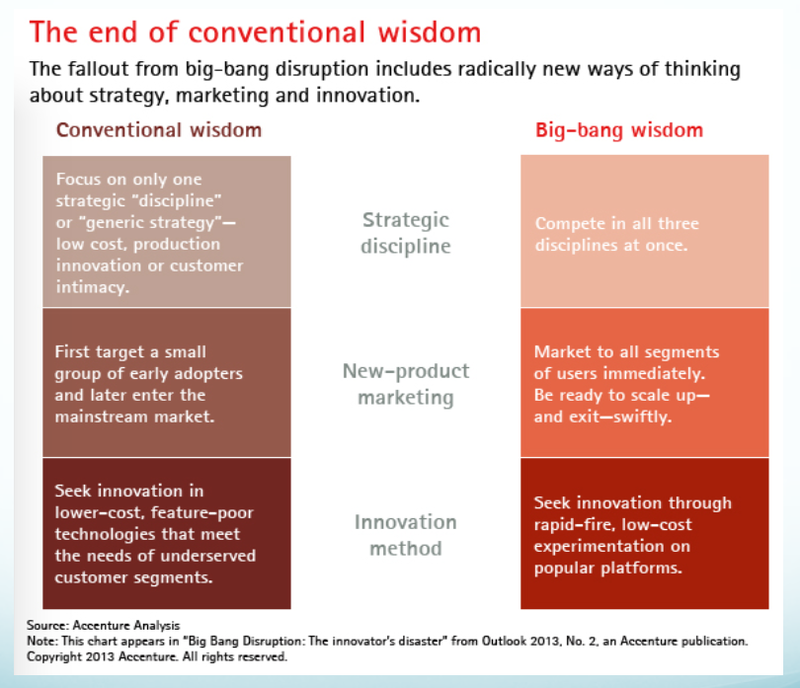 Even our long accepted strategies on how to cope with disruption will have to evolve. 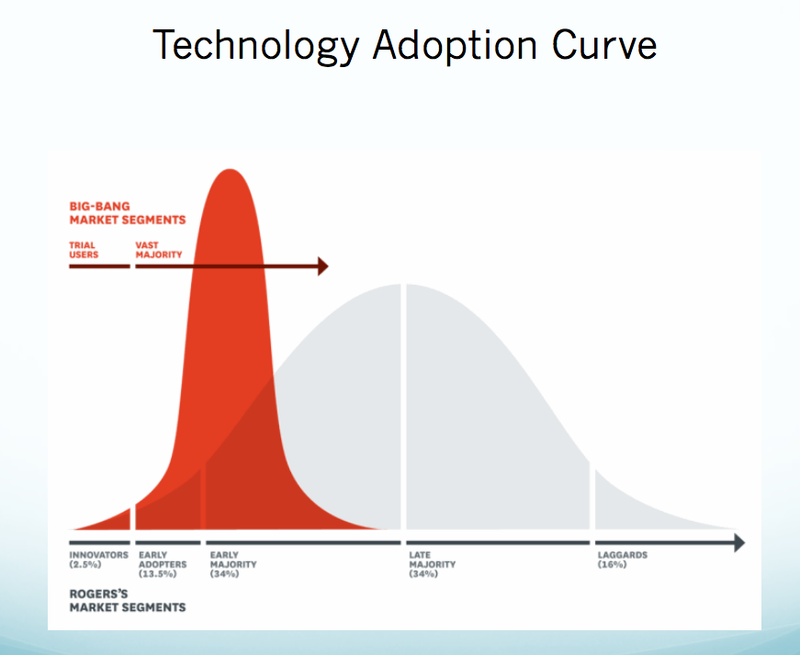 The bell-shaped adoption curves of disruptive technology or disruptive innovation are out, replaced now by the potential for rapid up-take and the shark fin curve of Big Bang Disruption, which is not confined to just electricity sector technology but can come from an unrelated sector! Hawaii's energy transformation should be and can be a model for the rest of the world, however, it will require vision, the right leadership, cooperation and altruism which leads into my second story. 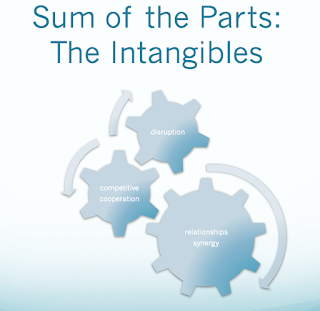 Cooperation is inadequate to describe the necessary dynamics for an energy transformation. As keen observers of our natural and human environments and as practitioners in systems thinking, the strategies and concepts that must be embraced for a successful transformation are not foreign to us and are embedded in Hawaii’s heritage and values. As an island environment, our indigenous rainforest may be the best example to conceptualize how multiple competitive and cooperative transactions resulting from new technologies and services should interplay within Hawaii’s electric systems to seamlessly optimize both individual and utility investments for mutual benefit. Our rainforests are an example of a diverse, complex system where each native forest organism is distinct but, while unique, must rely on other native forest organisms for sustenance and optimum growing conditions. Therefore, each organism must work both interdependently and cooperatively to produce a productive and efficient ecosystem that is the primary source of our water supply. It is difficult to put a value on the required synergy and the role of each native forest organism’s contribution to capture rainfall, but the result, our reliable water supply, is priceless. “There is a purpose for each of those six seats, and each is critical in the canoe. For instance the stroker is the pacesetter who sits in seat one, the one with the best view of the swells that are most imminent, the one who will set the rhythm every other paddler follows. Seat two matches the timing of the stroker on the opposite side of the canoe, and he is thought of as an alert communicator, especially when the ocean winds prevent voices from being heard from the last seat to the first. Knowing he has this back-up, the stroker will concentrate on the consistency of his pace. The steersman occupies seat six, the last seat, and is the ultimate decision-maker, however he trusts the stroker to adjust pace as he steers direction. The steersman is also the captain, and he must know of the individual talent and strength of each and every paddler before he assigns the seat they will occupy. Most watermen will agree that all paddlers must have the common traits of discipline, tenacity, focus and endurance. However there are differences too, and a role for each seat that values these differences; qualities such as physical strength or alertness are valued more so in one seat over another.
. . . It takes the harmonious disciplined stroke of all six together to make the canoe surge forward through the surf with the least amount of effort, reserving the power of each when it is most needed. It takes every element of Lōkahi (agreement, cooperation and collaboration), and Kākou is achieved when the collaboration has resulted in perfect harmony and unity." 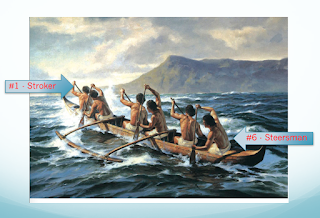 In open ocean racing in an outrigger canoe, the goal is to reach your destination as fast as possible by optimizing each synchronized stroke and taking advantage of ocean swells, winds and currents, which the steersman is observant of in order to steer effectively and which the stroker can match with the appropriate pace. If the course or elements are read incorrectly, if the stroker cannot match the pace with conditions or if any one paddler is out of sync, the canoe will struggle to move forward expending needless effort and creating frustration among the crew. preparation to anticipate disruption and willingness to act with urgency (2) a competitive cooperative environment needed for a robust system and healthy markets (3) the synergy and leadership that must be sustained to transform Hawaiʹi’s electric systems. 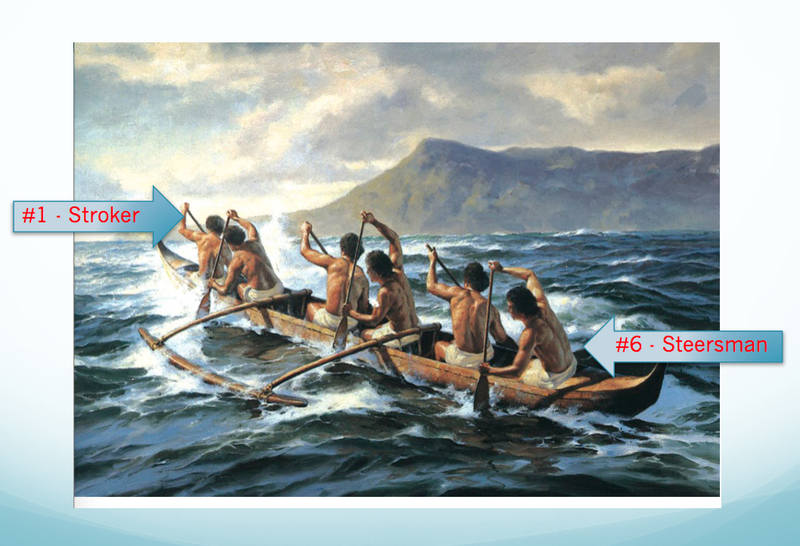 As the canoe analogy exemplifies there are two critical positions to effectuate Hawaii’s electric system transformation, the regulated electric utility and the regulator. within the Department of Business, Economic Development & Tourism, and the Hawaii Natural Energy Institute knowing that a systemic energy transformation required a focused strategic approach, good analytics, and leadership that could survive through and beyond political election cycles and especially an administration change. Since clean energy has become such a hot issue in the past decade, it is understandable each politician wants his or her initiatives adopted for their campaigns or legacy. However, we if desire a system transformation we cannot keep reinventing the wheel nor let one's own prejudices or lack of information get in the way of careful and strategic analytics, therefore, deference must be given to these agencies, especially the PUC and Consumer Advocate at this critical time. We cannot afford to have the momentum, propelled by the PUC’s inclinations, fall to the wayside. Anything less will always have the propensity of letting another good roadmap sit idle as the wheel gets reinvented for political purposes. We have one opportunity to get our clean energy system transformation right and failure is not an option. Under Chairman Iwase I know that the PUC has stepped up its efforts to build its capacity and is fulfilling its role as a capable steersman in this effort. On the other side, Hawaiian Electric Industries, the holding company of the Hawaiian Electric Companies was slow to recognize the need for the right type of leadership for a business in transition. Although a bit late, I strongly believe HEI made a good choice in finally naming Alan Oshima as CEO of Hawaiian Electric Company a year ago. Alan is familiar with disruptive technology and transformation, bringing his experience from the telecommunications sector. Now, under Alan's leadership, the HECO Companies are undergoing and is in need of huge internal reforms to navigate change. The question now is, can the HECO Companies move fast enough to survive the impacts of disruption to its evolving organizational structure and business model? 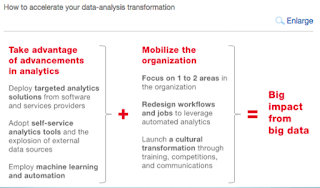 Like many other sectors, the emphasis is on Big Data. As we move further away from the traditional central power design to integrating more renewable resources comprising of both utility and customer sited systems and unbundling and procuring other ancillary services typically provided by the utility, the utility's primary commodity shifts from electrons to data. 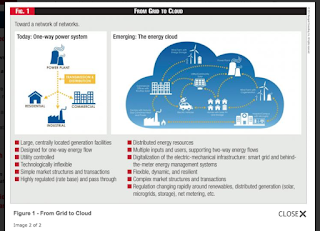 This paradigm shift requires the utility to be the aggregator of data - that is, the analysis and management of data for the efficient delivery and usage of the cleanest and cheapest electrons while maintaining power quality and stability of the grid at affordable rates. 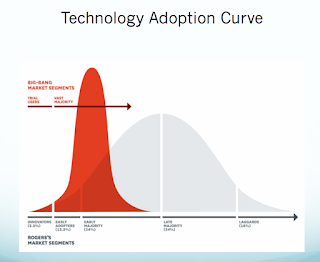 I emphasize data but data is just a subset of the need to adapt to technology in general, which takes the forms of fast communication, and new methods of energy production, storage, delivery and management. 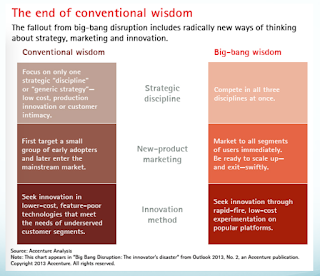 But, to be able to manage the opportunities and risks attendant to these technologies, and the associated growth in customer knowledge, engagement and regulatory performance expectations, requires management teams to be forward looking and rigorous in their thinking, able to develop adaptable strategies and business models, and the discipline to manage by fact and execute well. 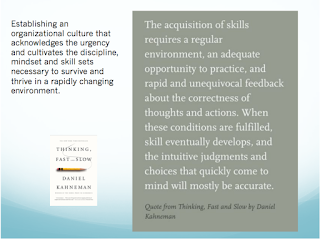 Management needs to collaborate effectively internally and externally, embrace the need for continuous change and improvement, and to diligently cultivate the organizational culture aligned with these traits. 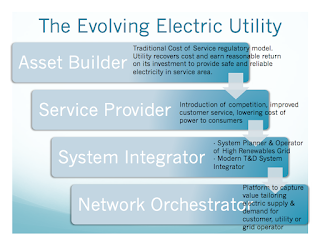 More importantly, the Hawaiian Electric Companies need to be truly engaged with their customers and deliver a new level of service, ultimately developing stronger loyalty. Otherwise, the HECO Companies will face the medium-term prospect of new and improved Distributed Energy Resources technology and customer dissatisfaction combining to trigger grid defection and, ultimately, compromising the integrity of Hawaii's electricity grid and a clean energy transformation to benefit all residents and businesses, not to mention the viability of the utility itself. 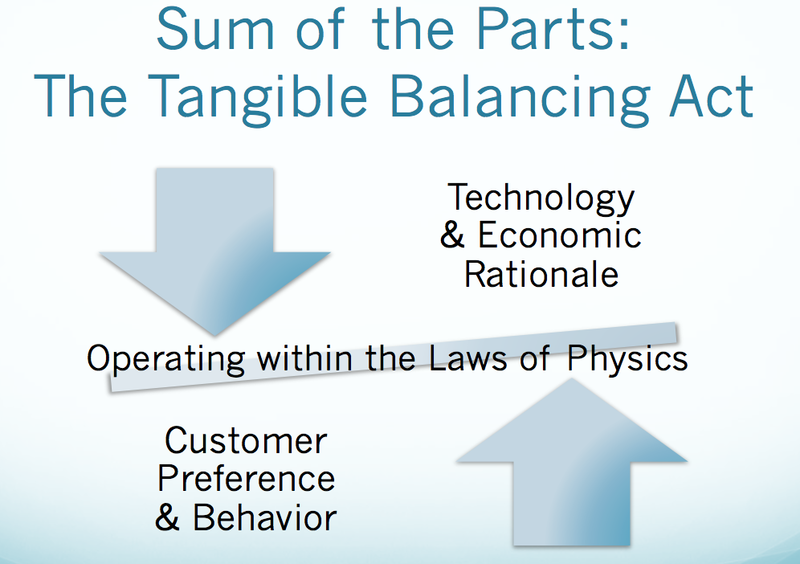 Thus, embracing and achieving all of this while the utility model evolves. My final point is on the HECO/NextEra merger. I’m still an observer on the fence but at this juncture it appears that the benefits could outweigh negatives with appropriate conditions. I believe NextEra’s culture of continuous improvement can accelerate and enhance the transformation needed at the Hawaiian Electric Companies to improve its analytical capacity, performance and overall organizational culture as it evolves into the utility of the future. There are obvious issues like ring fencing to protect the Hawaii ratepayer. With the HECO Companies’ important role to implement clean energy policies, I find the B-Corp model an interesting tool to benchmark the performance of the HECO Companies not only as a regulated entity but also to evaluate its social, environmental and economic performance given its formidable role as a corporate leader and responsible corporate citizen in Hawaii. I believe the B-Corp model or a similar effort is needed to clearly define and articulate Hawaii’s expectations, or what some have called our local values, and to help guide NextEra actions and reinvestment in their most valuable asset and the implementers of this transformation, the employees of the HECO Companies, to shape Hawaii’s energy and economic future. 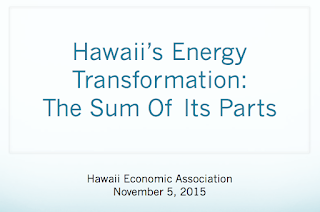 Hawaii’s clean energy transformation is a kakou thing. We’re all in this canoe together. Thank you for allowing me to share my thoughts with you. Everytime I read your blog, I am impressed by the clarity and articulateness of your columns. Double Virgos got game. Very well done, Mina. For the Big Island, we think the Hawaii Island Energy Cooperative (HIEC) provides the best combination of inputs to insure a safe and reliable journey into the future. 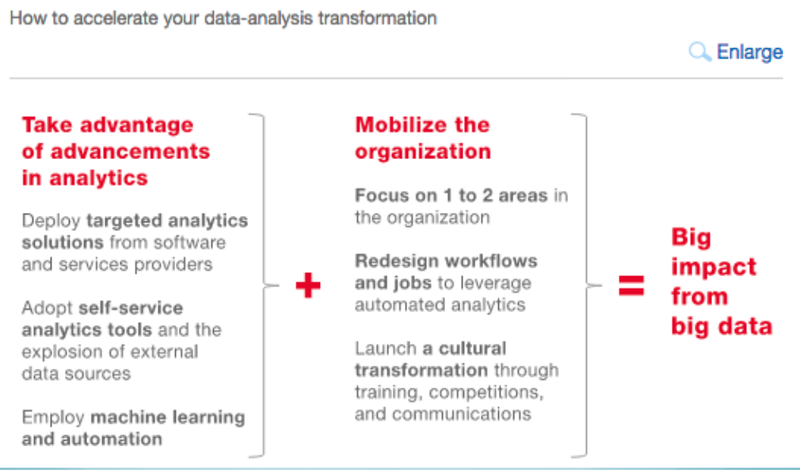 We must take a systems approach, we cannot operate in silos. This is about all of us, not just a few of us. It is much more than a bunch of letters behind one's name. Big Islanders are as capable as anyone to embark on this journey.